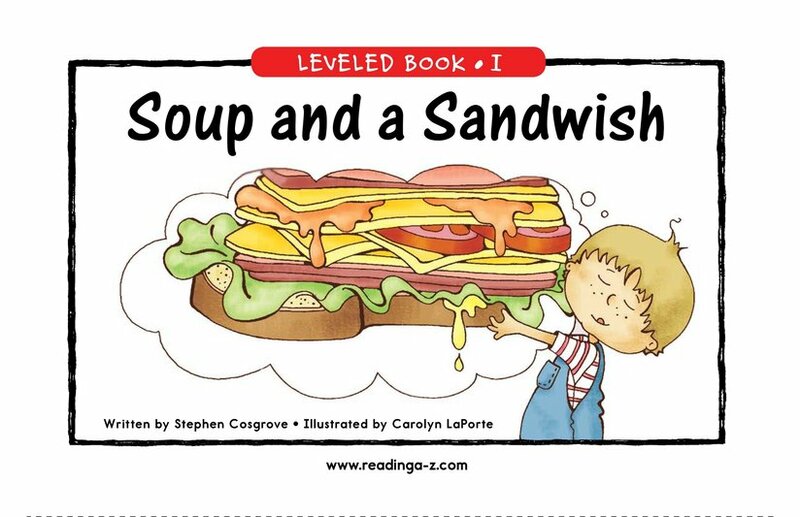 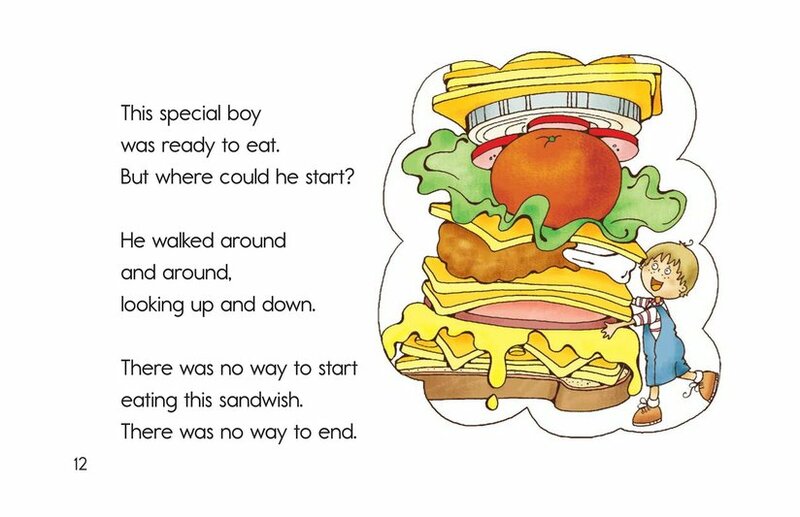 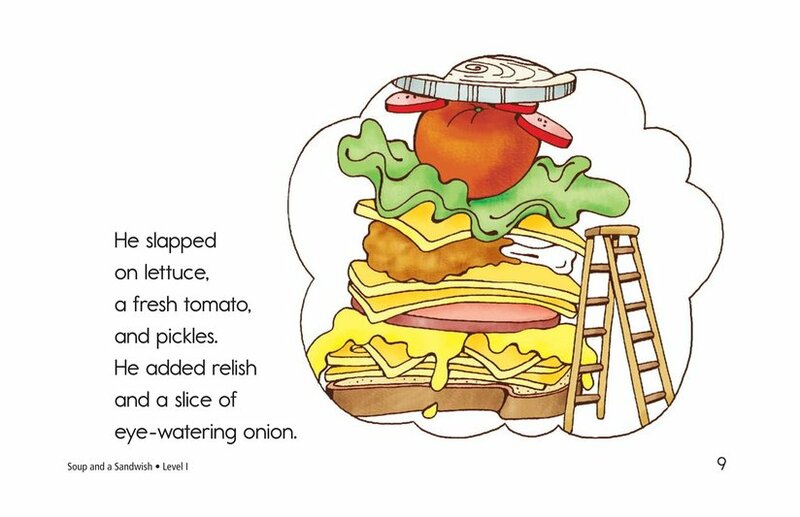 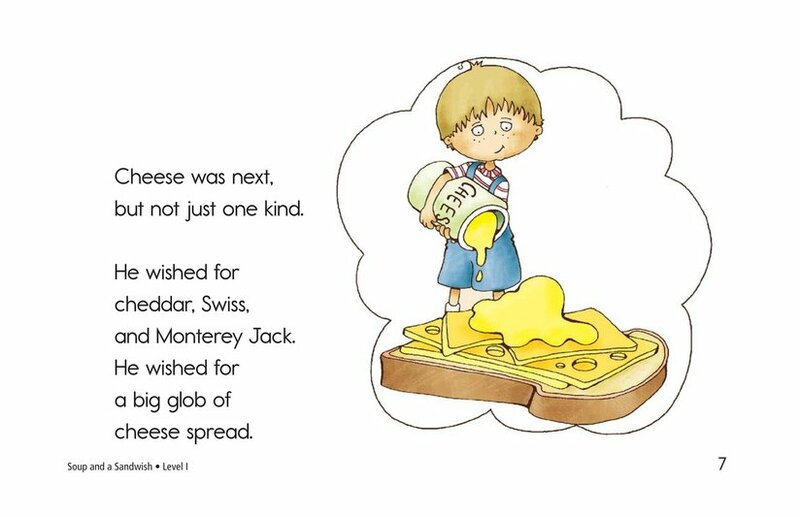 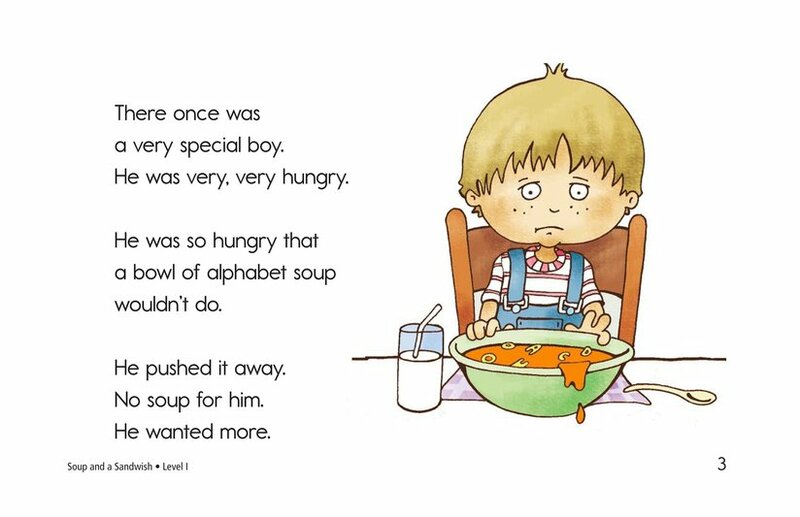 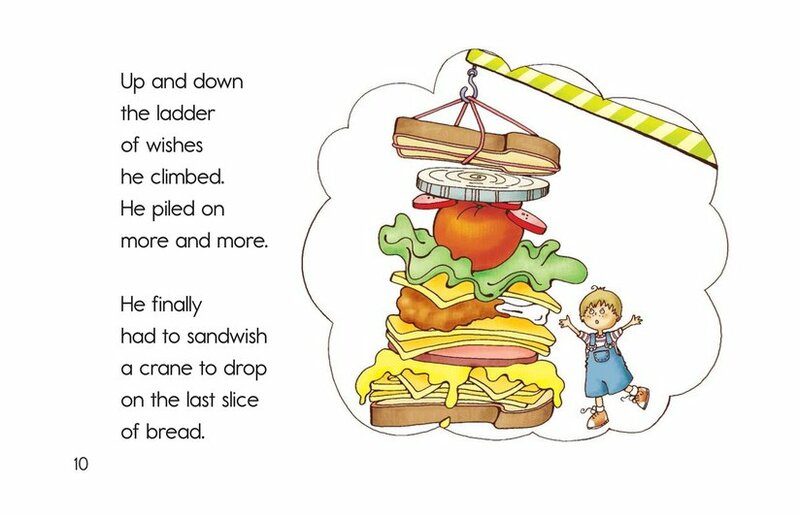 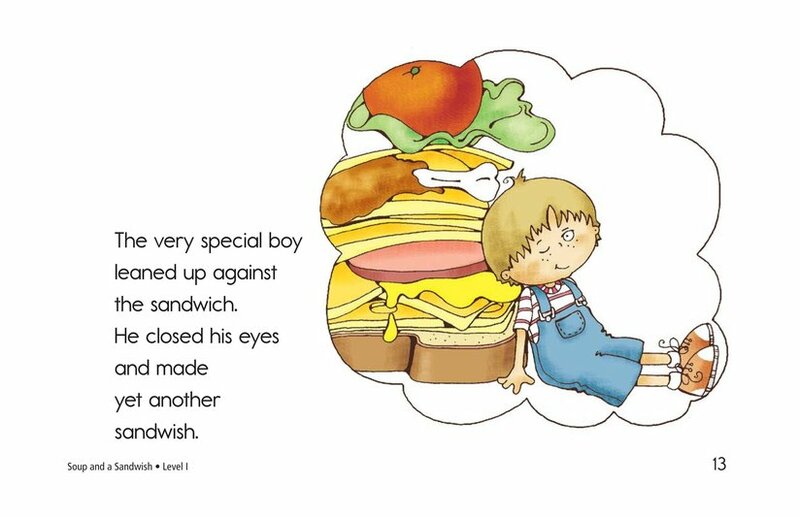 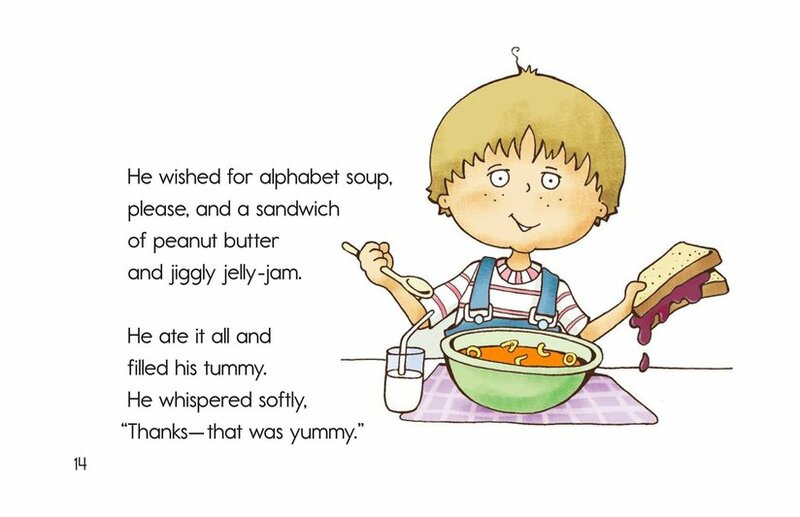 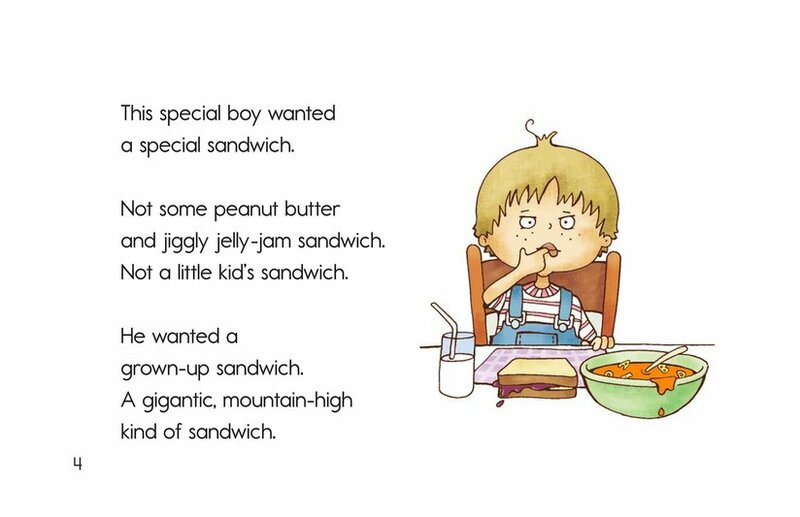 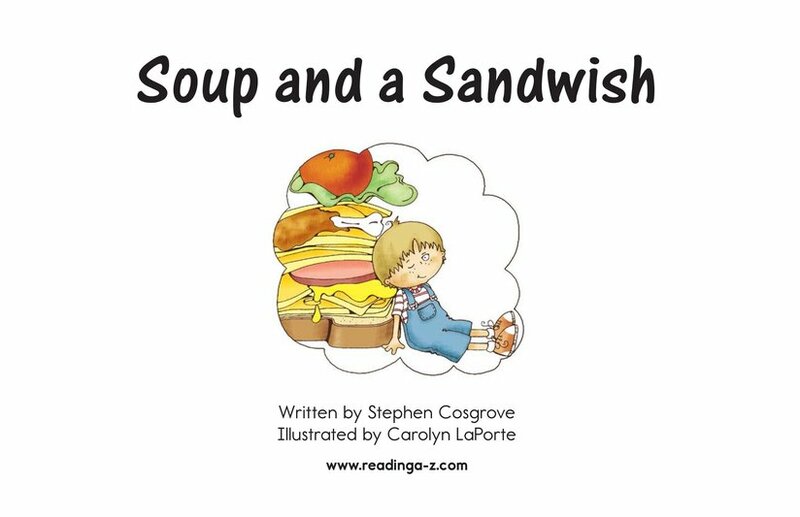 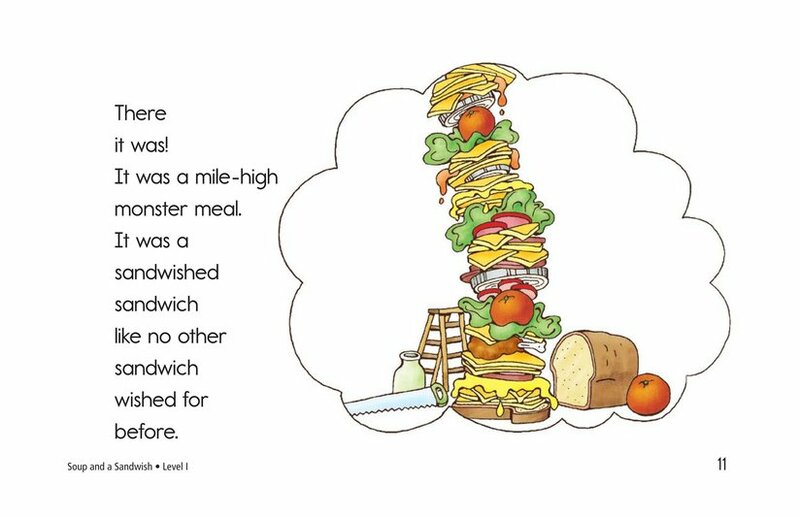 Soup and a Sandwish is an entertaining story about a boy who is tired of eating the same kind of lunch every day. 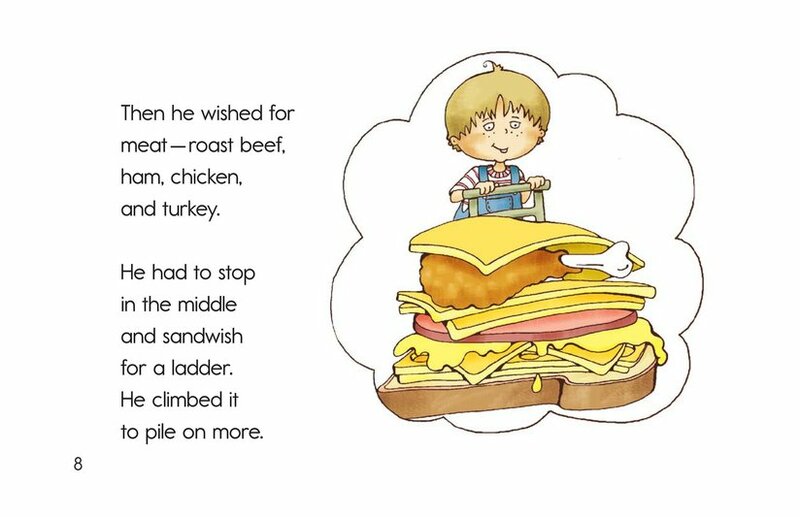 He decides that if he can't get the sandwich he really wants, he will create it himself. 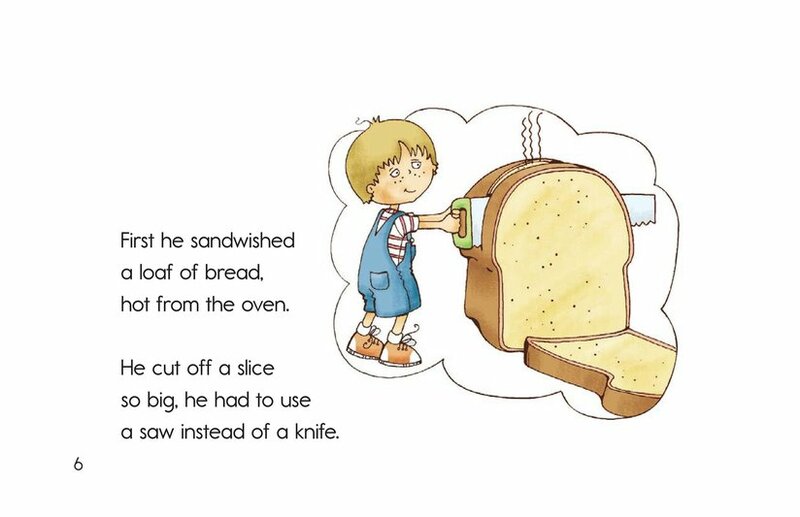 The only problem is that he creates a bit more than he can handle. 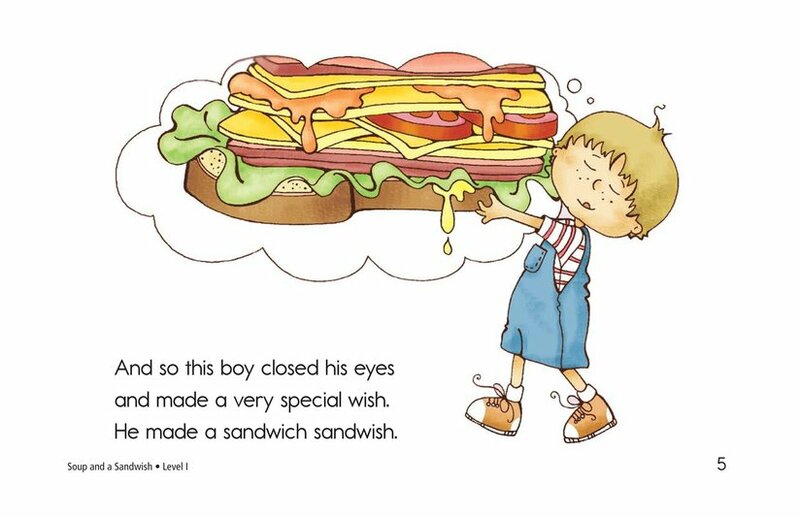 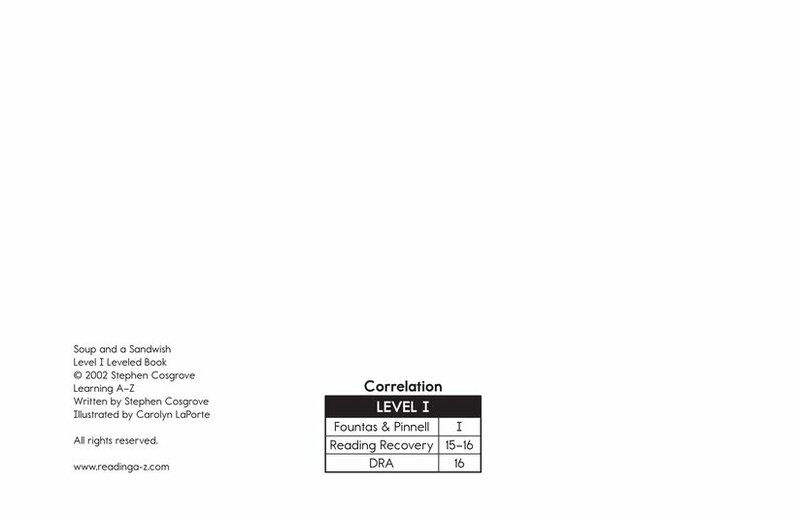 The text is supported by imaginative illustrations.